Has Kim Won Hong Sung his Swan Song? South Korea’s Ministry of Unification (MOU) recently announced that General Kim Won Hong was dismissed from his position as North Korea’s Minister of State Security (sometimes called Director of the State Security Department). The announcement is relatively anomalous for Seoul’s standard treatment of North Korean political affairs because the MOU held publicly corroborated anonymous-sourced media reporting about General Kim’s status; usually the anonymous leaks are left to speak for themselves, or a report emerges from leaked confidential parliamentary testimony by senior South Korean government officials. The announcement is a relatively cautious assessment because while it purports that General Kim has been removed from office, it also claims that he had been reduced in rank (from four-star general to one-star major general). This essentially rules out rumors that Kim Won Hong has been executed and raises the possibility that he is undergoing re-education or might return in a different position, albeit in a diminished capacity. If General Kim has actually been removed from his position and is eventually replaced, it would represent a departure in how Kim Jong Un treats his most loyal aides and supporters. While several members of the elite have fallen by the wayside during the last five years, Kim Jong Un has not demoted, dismissed or “disappeared” this small cohort. If he has fired Kim Won Hong, it would mean that he has now turned on “his people” in the leadership. Interpretations of this are subjective. To some Pyongyang watchers this will only reaffirm their view that Kim Jong Un’s leadership of the DPRK is unstable and that Kim himself might be mentally unstable. Other Pyongyang watchers will interpret this as a sign that Kim Jong Un has cemented his power and dominance in the country’s political system; in this view, by dismissing someone so closely tied to his own rise to power he feels sufficiently secure to send a message to other DPRK elites that none of them should feel safe in their jobs. Who is Kim Won Hong? General Kim Won Hong is (or was) the Minister of State Security. When his appointment was publicized in April 2012, he was the first person to hold this position since the 1987 death of Ri Chun Su. He was one of the DPRK’s top officials holding positions as a member of the country’s supreme power organization, the State Affairs Commission, the Workers’ Party of Korea (WPK) Political Bureau, and the WPK Central Military Commission (CMC). General Kim was also a leading official of Group 109, which coordinates the activities of the joint task forces that monitor and crackdown on the illicit use, transfer and exchange of cell phones, media players, media content and imported foreign goods. Kim Won Hong has also held a variety of key command positions in the North Korea’s national security community. Unlike other senior North Korean military and internal security officials who are generally assigned to either substantive command (i.e., operations, policy or strategy) or political management, General Kim has effortlessly worked in both. The one commonality is that his area of responsibility has always been surveillance and intelligence gathering. 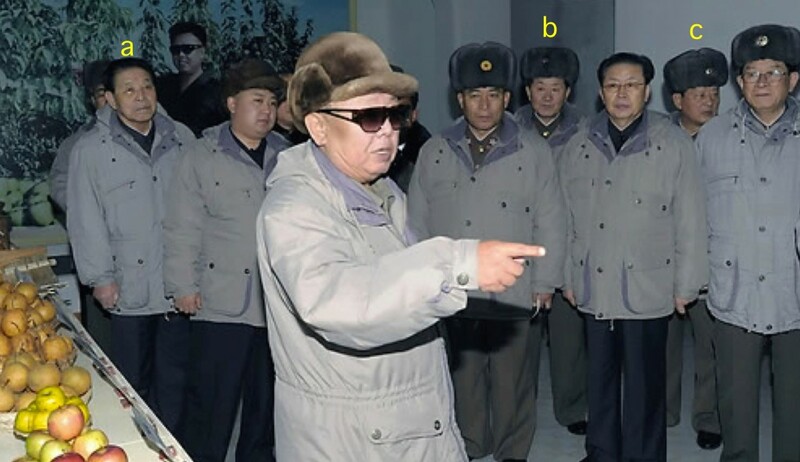 He served as a political commissar in the Pyongyang Defense Command (PDC), a corps-sized unit that protects Pyongyang and its immediate vicinity primarily from a direct challenge by other elements of North Korea’s armed forces. 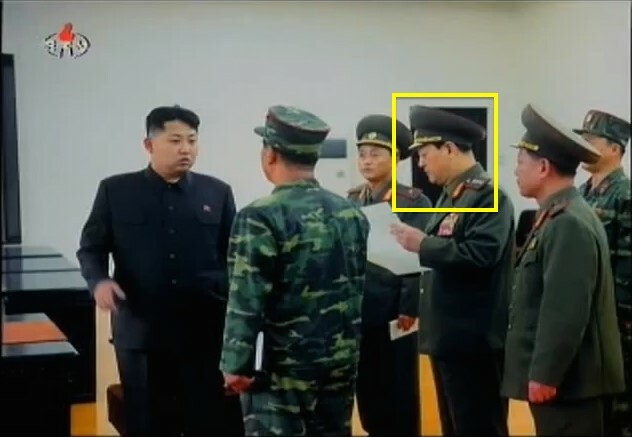 He was also a deputy director of the KPA General Political Department, which is involved in both monitoring the activities and behavior of KPA officers and service members as well as indoctrination and political education. From 2004 to 2010 he served as Director of the Military Security Command, the internal security agency tasked with monitoring the activities, communications and private lives of KPA officers through a combination of surveillance and investigations. One can only conclude, based on these positions and his tenure at the head of State Security, that General Kim has been privy to myriad state secrets and possesses a capacious knowledge about the private lives of many DPRK citizens. 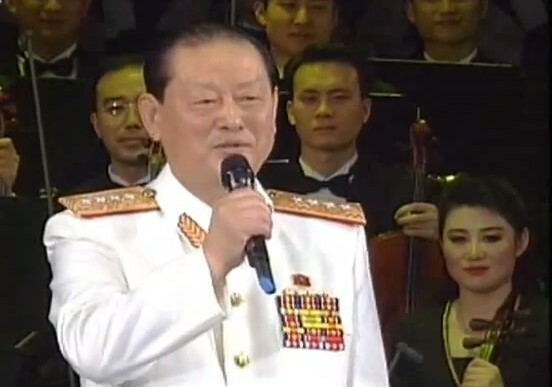 General Kim Won Hong’s last observed appearances were in mid-December 2016 when he attended events commemorating the fifth anniversary of the death of Kim Jong Il. According to South Korea’s MOU, it was around the same time that the WPK Organization Guidance Department, which oversees operations of State Security personnel, intensified its investigation of Kim. Given his career history, and the fact that as head of State Security Kim Won Hong had a direct role in investigating, dismissing, incarcerating and even executing numerous party, state and security officials, he certainly incurred the enmity and wrath of a number of powerful people in Pyongyang. That said, the MOU claimed that General Kim was removed because of “abuse of power and corruption,” along with “human rights violations.” These reasons are ambiguous, amorphous and even laughable, given State Security’s mission, but may indicate that the MOU has only a moderate degree of confidence in its own intelligence. Defections of several DPRK diplomats, the most prominent of which was Thae Yong Ho, the former senior deputy to the DPRK Ambassador to the UK. One or all of these reasons would have placed General Kim Won Hong’s position and career in jeopardy. If he has been suspended and is undergoing re-education, then it means he assumed responsibility for these problems. Conversely, amid all the investigations and personnel attrition under Kim Jong Un during the last five years, Kim Won Hong may have proven overzealous in incarcerating or executing dozens of senior and mid-level DPRK officials. Kim Jong Un may even hold General Kim responsible for being sanctioned by the US government for human rights violations. If Kim Won Hong has been dismissed, the problem for Kim Jong Un going forward is that he may find the next head of State Security reluctant to carry out future purge orders. Kim Won Hong is part of an exclusive, albeit informal, group of senior elites who developed close ties to Kim Jong Un when he began his career in 2007. Since then, these men have seen their careers advance and their power in the country’s political culture expand, and they have emerged largely unscathed from Kim Jong Un’s purges. This group differs from such fallen elites like Jang Song Thaek and Vice Marshal Ri Yong Ho, who were holdovers that Kim Jong Un inherited. Other than General Kim, this group consists of: Choe Ryong Hae, Kim Yong Chol, General Jo Kyong Chol and Kim Kyong Ok. This cohort represents a specific subset of the DPRK national security community. All are involved in social and population control (particularly, Choe) but more importantly these are men are senior managers of North Korea’s intelligence community. Along with General Kim, two of them are involved in surveillance, investigations and enforcement measures on DPRK officials. Essentially, they police elites in Pyongyang and in the provinces. If Kim Won Hong has been dismissed, it means that Kim Jong Un is now laying into a group of previously untouchable loyalists. Internally, it signals to other senior elites that their jobs may not be as safe as they thought. It would indicate that Kim Jong Un is more isolated from North Korea’s power structure than it seems, and works through a group of largely unnamed and unknown close aides in the Personal Secretariat. While his father may have been physically distant from various officials, cadres and functionaries, Kim Jong Il maintained a flurry of contacts and communications with subordinates of varying ranks and stations. Kim Jong Un has a berth to reinvent the reporting and control channels in the regime, but it isn’t a wide berth. More fundamentally, the Gang of Five (or Four) bears close watching over the next months and even years. The loss of one member to dismissal or demotion is not necessarily symptomatic of an instable political regime or shaky elite support. However, should any of these officials fail to appear in public, are rumored to have been removed from office or pass away under circumstances other than terminal illness or natural causes, then the current debate among Korea watchers incited by recent elite defections about stability or instability in the DPRK’s leadership will no longer be academic. As always, reports of a senior North Korean official’s dismissal or death come with caveats. In contrast to previous occasions, the South Korean government has been rather candid about Kim Won Hong’s dismissal. Rather than let something float in the ether of anonymous sources and a competitive media market, they clarified and contextualized the available intelligence. And yet, one cannot ignore the correlation between the ROK President’s Office refusing to honor a search warrant at the Blue House and the MOU’s announcement on Kim Won Hong; to deflect attention from an ongoing corruption investigation, perhaps someone in Seoul decided to officially leak a bit of intelligence on North Korea’s internal political affairs. It could take weeks, or even months, before other information about Kim Won Hong’s status becomes available—whether through a statement or North Korean action, or through additional reports in South Korea. There are very good reasons, from Kim Jong Un’s perspective, to nip would-be alternate power centers in the bud. However, there is no evidence of Kim Won Hong having engaged in faction forming. Based on his political loyalty, close ties to Kim Jong Un and the best current available information, it is more likely General Kim is under suspension and will eventually resurface. The Ministry of State Security’s (MSS) primary mission is ensuring political security among North Korea’s population, which basically means guaranteeing that DPRK citizens don’t ultimately foment an uprising against the state and its political leadership. Much of the MSS’ focus is on the domestic North Korean population. MSS uses a variety of investigative and surveillance methods to keep the population in line. This includes keeping tabs on local populations and recruiting DPRK citizens to monitor and report on the behavior and activities of their neighbors, co-workers and even family members; the basic ratio is that there is one State Security-recruited spy for every 25-35 DPRK citizens. MSS also plays a central role in monitoring media content for reporting unflattering information and conveying wayward ideas to ensure that Kim Jong Un, and other hallowed heroes in the political culture, are not misrepresented or slandered. In addition, the MSS is the largest and primary signals intelligence collection and analysis agency in the DPRK; it routinely monitors all fixed-line and mobile telephonic communications in the country, as well as audits usage of computers including the domestic intranet. On the external affairs front, State Security deploys a select number of officers to conduct surveillance on DPRK citizens working and living outside the country, and sporadically monitors foreign nationals who travel or reside in the DPRK. Finally, and most notoriously, MSS operates a network of labor camps and prisons within the country to which those deemed enemies of the state or politically unreliable are incarcerated and where they are exposed to an intense degree of violence and trauma. For many years, there was no Minister/Director of State Security. Instead, Kim Jong Il held this position on a de facto basis. He largely outsourced the daily management of State Security to several close aides. The PDC has between 50,000 to 70,000 personnel and with the Guard Command and III Army Corps constitutes what foreign leadership expert Ken Gause aptly terms the DPRK’s “Praetorian Guard.” Senior PDC command staff generally has close ties to the Kim Family. State Security, through its Minister and Political Director, submit daily reports to, and is under the general management, of the WPK Organization Guidance Department. Some Pyongyang watchers might expand this cohort to include Pak Pong Ju and Hwang Pyong So. Choe Ryong Hae is currently a Vice Chairman of the State Affairs Commission and a WPK Vice Chairman. He is considered North Korea’s No. 3 official and has served as Kim Jong Un’s personal representative and envoy overseas. He has shuffled around the leadership, including a brief stint as Director of the KPA General Political Department. He has also been the subject of rumors about his status and job security, but remains a core elite. Kim Yong Chol is currently WPK Vice Chairman for Intelligence and South Korean Affairs and Director of the WPK United Front Department. A beneficiary of the Jang Song Thaek family patronage network, Kim Yong Chol has served as a senior manager in the DPRK’s intelligence community since the 1980s. 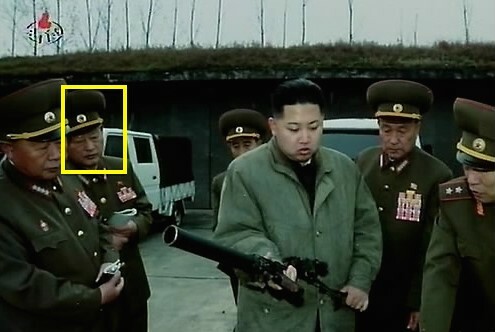 When he was a uniformed member of the KPA, Kim was subject (at least twice) to temporary demotion of his military rank. But he has neither been suspended nor dismissed. General Jo Kyong Chol is the current director of the Military Security Command (MSC), and Kim Won Hong’s successor in that position. He is one of the very core elites observed with a loaded handgun in close proximity to Kim Jong Un, a sign of the leader’s absolute trust. Under his leadership, during the last three years, the MSC’s institutional star has risen in the DPRK’s political culture. Kim Kyong Ok is one of the four senior deputy directors of the WPK Organization Guidance Department. He is Kim Jong Un’s chief political enforcer with a portfolio that includes the Guard Command, the MSC and State Security. One way to track this is to note the number of senior officials who are depicted greeting Kim Jong Un when he arrives for an on-site visit and the ones who obviously traveled with him in his motorcade. Many of these Personal Secretariat aides are closer in age to Kim Jong Un. One example of this type of close aide is Kim Jong Un’s younger sister Kim Yo Jong.